I’m going to tell you a story, and I promise to try to keep it short. I know we’re a restless bunch. I was born in Singapore, spent all my schooling years in an international school, and graduated with an Australian degree. Growing up, I had my eyes and heart fixated on going back to Lion City, to claim citizenship in a place with reliable public transportation, 2x the currency rate, and little fears of getting robbed, kidnapped or ridiculously cat-called on the street. I longed to get out at every chance I got. Work holiday internships, global volunteer programs, you name it, I made a dive for it. I was a month short in age to cast my vote at the last General Election. Much has changed about the state of my indifference towards the country since then. 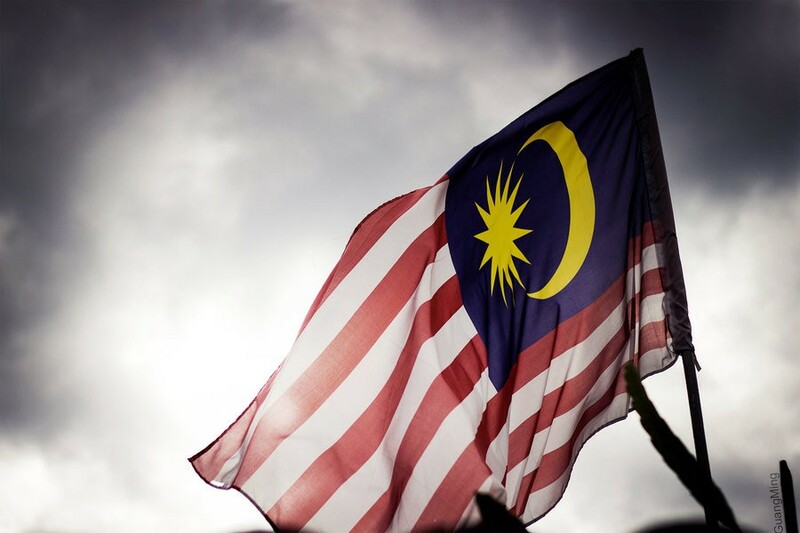 Donation and black magic jokes aside, as I write, there are some real pressing concerns about Malaysia’s delicate future, her political and economical stability amongst many other issues such as corruption and media freedom. There’s enough literature around to account for those, but more importantly, what does this all mean for her Gen-Y? Her well-educated, talented, bright-eyed, ready-to-conquer-the-world Gen-Y? A good fraction of her best have migrated. For the ordinary twenty-something Malaysian, it is really hard to establish a good footing without help. Things are crazy expensive and the rapid decline of our Ringgit doesn’t help. With the cost of living going up hard, how are we ever going to afford our first home? I have friends working several jobs just to get by. I understand youths who migrate. Even my sister now is settled in Sydney with her husband and my gorgeous niece. I understand our entitlement for a better life. We all deserve that. I want that for myself too. But if everyone left, what would happen? It is painstakingly hard to decide to stay and stick it out back home. Opportunities are abundant outside and frankly there’s nothing shiny keeping me in. But I know that if every capable twenty-something were to leave, Malaysia will lose all of even what’s left of her brightest talent. When that happens, Malaysia will really be left in the dark. Talk is cheap. In walking the talk, I built and launched a humble startup called Producky to showcase the best Malaysian-made internet startups. I wanted to prove that good things can come from Malaysia, and challenge the notion that all the ‘best things are made overseas’. If you are not acquainted with the tech scene, you’ll be surprised at the quality of startups in our country. So much potential. I’ve had the honour to meet and work some of the smartest, most talented and passionate people who chose to start out here even though they know they’ve got the goods and skills to be doing far better elsewhere. Cue in the likes of Karl Loo, Khailee Ng, Cheryl Yeoh, my boss Andrew Tan (gee why doesn’t he have Twitter), just to name a few. I am inspired knowing that there are like-minded entrepreneurs who, like me, are hungry to create more success stories for our country — more MyTeksis, more AirAsias, more Piktocharts. To give us reason to make international headlines for the right reasons. I love how there have been increasing efforts by individuals, accelerators and private institutions and government-initiatives like MaGIC, Cradle Fund and MAVCAP surfacing over the last year that’s been supporting our bumpy yet fulfilling entrepreneurial plight. There’s still a lot of work to be done, but we are definitely trying. I want our children to have it better than we ever did, and I know it isn’t going to happen if we remained indifferent towards our country’s affairs. In hoping for a better future, I failed to recognise sooner that I am the future. You are the future, we are the future, the next in line. That means, whatever decisions we make now will affect those after us. This is going to be hard. Expect it to be. I know that for such a mandate, we have not been given enough credit, and it is our right to feel all the emotions we feel. I don’t even know if the government knows we exist with all the nation drama that’s happening. But every generation before us has had its unique call to rise up. Ask your parents. They fought hard for the Malaysia we live in today. And it’s up to us to take it from here. Whoever said we could have things easy and enjoy the fruits of our forefather’s labour without having to work a dime for it? The fact that you and I can choose to leave, stay or return home — someone paid for it. And we have them to be thankful for. So there is no way in hell I’m going to sit back and watch Malaysia wilt from afar. I wish things were easier, but I count it all joy to have the opportunity to stay and serve the country at such a crucial time, for as long and as much as I can. And I am the average Jane. You’re probably smarter, with more to offer than I do. So dear 20-something Malaysian, near or far, we share one thing in common — we’re in this together, whether we like it or not. If situation permits, try not to abandon ship. Home’s falling a little ill, and home needs you. This post was inspired by a question on Quora entitled ‘What do you think of the next 5 years living in Malaysia’. If you like what I wrote, please share and recommend this article with your friends. Or if you think I’m insane, I would love to hear your thoughts, but please be gentle with words. If you are a Malaysian, may I encourage you to support our Malaysian startup friends on Producky by trying out and giving love to their less-than-perfect but nonetheless awesome services. There’s bound to be something that will scratch your fancy itch. Also thanks to @theianchan for reading the first draft of this piece.